RollingStone: "Cannabis market to top $22 Billion by 2020; Hemp-CBD alone to reach $22 Billion by 2022"
According to a recent article published by Rollingstone Magaine, experts predict the Cannabis market will reach $20 billion by 2020. More notably, the hemp CBD market, alone, could top $20 Billion by 2022! What's the difference between cannabis and CBD? While the cannabis market continues to be legalized across the United States and continues to grow, a lesser-known subset of this industry involves Hemp Cannabidiols aka Hemp CBD. According to Rollingstone, "CBD, a non-psychoactive cannabinoid found in cannabis, has had a surge in popularity over the past couple of years. Unlike THC, the chemical compound that gives weed its signature effect, CBD has been shown to help with everything from PTSD and anxiety to MS and epilepsy — without getting you high." This subset, alone, is slated to reach $22 Billion in revenue. Oils, pain creams, sprays and even lotions and beauty creams with CBD are becoming increasingly popular in the marketplace. As seen on programs such as DatelineNBC, the use of CBD has been shown to help persons with epilepsy, joint pain and may possibly be the answer to the opioid epidemic. In May 2018, NBC profiled the industry in great depth and has been replayed and reposted across the internet. Others have touted CBD's ability to reduce stress, regulate sleep, assist in weight management, reduce inflammation, promote overall wellness and more. The company, Oxzgen, a subsidiary of 5LINX, is making waves with this industry as it has already released a line of these products which are available in all 50 US States through its independent salesforce. It's spokeperson and majority owner, NBA All-Star and Assistance Coach, Juwan Howard, along with celebrities Seth Rogan, Ice Cube, Jennifer Anniston and many others heavily endorse CBD. The company, Oxzgen, also offers the opportunity for anyone to invest in a franchise and market these products for a low, nominal investment. For information, on this revolutionary product line, click here. And to become a distributor, click here. ​​If you enjoyed this blog, please quickly do me a favor and share with others and comment below. 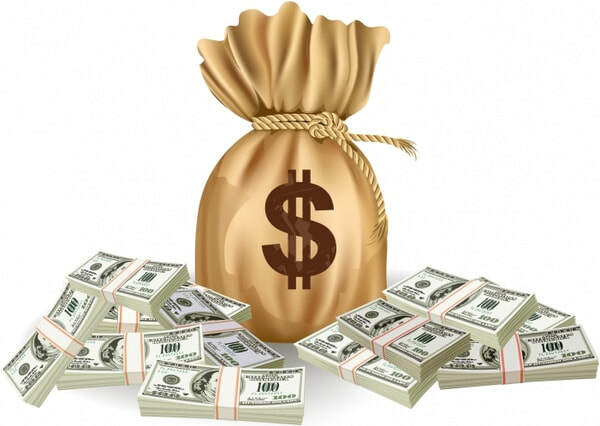 3 Apps To help you "Get the bag and flip it and tumble IT" and get FREE MONEY! In my other articles, (including GetOffTheRATWheel.com) I talk about how to "get the bag." My goal for this blog is to help new or intermediate investors leverage technology to build a nest egg (aka "flip it and tumble it" - referencing a song by hip hop stars Gucci Mane and Migos). But I digress. Got an iPhone or Android? You can get started right now. With the rise of "robo apps", you have more options to grow your money today with very little overhead. And while there are many investment apps, I highly recommend three based on their ease of use and because each of them are SIPC and/or FDIC insured up to $500,000.00, which is standard for large brokerages as well. As a disclaimer, I am not a financial professional. Yet what qualifies me to write this article is my experience as an investor, both with apps and through traditional means (e.g. 401k, IRA and individual investments). Stash, in my opinion, is probably the simplest and fastest way to multiply your money if you have an interest in investing and are familiar with basic investment principles. Here's how it works. With as little as $5 you can start investing in what are known as ETFs (Exchange Traded Funds). In plain English this is simply a grouping of stocks. The beauty of Stash is that it only uses well-established ETFs from firms like Vanguard and Blackrock so its difficult to choose wrongly. So why not go direct to the firm? Because Stash allows you to invest with a tiny amounts of cash and even gives easily recognizable names to ETFs based on what they are (e.g. The ETF "Rising Robots" are a group of companies that 'lead the way in robotics and automation technologies'). Best of all, if you're not keen on setting money aside from your paycheck, you can set up automatic deposits into your Stash (daily, weekly, bi monthly, etc) in any amount you choose! There are also no trading fees or add on commissions that you need to pay--just a $1.00/mo fee. Based on a risk-assessment questionnaire given when you sign up, Stash will recommend a mix of ETFs, but you can choose however you see fit. And don't worry--if you're brand new to investing, I recommend joining the Stash Investors Facebook Group to see what others are investing in! (This isn't school--it's okay to look on your neighbor's paper!) Stash is a must have app to help you flip and tumble ​the contents of your bag! Like Stash, Robinhood allows free trades and is also solely available on iPhone and Android devices. Unlike Stash however, you're only able to purchase publicly traded stocks. This is my top pick for anyone looking to specifically invest in the stock market without paying extra commissions. The interface is intuitive, easy to use, and there are no minimums to get started. You can also choose from traditional buy and sell order types (Market, Limit, Stop Loss and Stop Limit). Don't worry: the app will explain what these terms mean! Similar to Stash, Robinhood also has very involved user communities on Facebook, such as Robinhood Investors. People are more than willing to help! The big downside is that you don't have a lot of News information in the app to go on--which is why it pays to keep an eye on websites like Morningstar.com, WSJ.com, Bloomberg.com, and the like. The people who are really "flipping and tumbling" are those who understand the market. Here's your chance to dive in! Acorns is a simple, yet essential app that painlessly allows you to save and invest extra money. How does it work? After signing up, you connect it to one or more of your debit or credit cards and it invests your spare change by rounding up your purchases to the nearest dollar. For instance, if you buy groceries for $78.15, Acorns will remember to pull $.85 for that transaction. If you buy a movie ticket for $11.72, Acorns will remember to pull another $0.28 for that transaction. Once your spare change hits the $5 threshold, this amount is swept from your linked card into the Acorns app and invested. Cool, right? Although this is the primary means of earning money through Acorns, you can also manually add money or set up recurring deposits. Of the three apps I'm discussing, this one is the lowest maintenance. Like the other apps, there are no minimums and the cost is $1.00/mo. Even with no experience, you can start flipping and tumbling today! I highly recommend setting aside a portion of your income and regularly making deposits. I personally invest 25% of my bonus cashflow earned in my Network Marketing company into my Stash and Robinhood accounts. It's all about short term sacrifices for long term gain! Lastly, do not tempted to withdraw! The more you have invested, the harder your money works for you! (Just be sure to diversify properly) When you've grown it to a sizeable amount, consider purchasing real estate, and/or other high yielding assets! Now go get the bag and download Stash, Robinhood and Acorns right now! As the new year begun, there was a buzz around the 5LINX Corporate Office in Rochester, New York. For several weeks, the corporate team had been in talks with a giant in the Network Marketing Profession. The news was made official shortly after the new year--that the 5LINX Leadership Team has named sales guru, Mr. Larry Harper, as its new Chief Sales Officer. Larry is a seasoned sales exec with 35+ years of experience, much of which coming from Amway where he helped the company reach 1.4 Billion in Sales. At Amway, he revolutionized the Latin American business model, growing revenue from $45 Million to $160 Million in under four years. This foundation gave way to a market that reached $1 Billion in Sales. His expertise ranges from compensation planning and sales incentives to customer relationship marketing and partnership incentives. Larry's role will serve as a traveling field ambassador, representing 5LINX Corporate at local meetings, presentations and trainings. The addition of Larry to the team, and the creation of this field-facing position is an important investment in the growth of 5LINX. It demonstrates our commitment to supporting our Representatives across the country and providing consistent, transparent and positive messaging to those who have planted their flag with 5LINX. ​Within just hours of making the news public, many 5LINX representatives expressed their gratitude and excitement to the already experienced leadership in the 5LINX Corporate Staff. Larry Harper joins the leadership team of Mike Gilbert (Chief Operating Officer), Denise Nowak (Vice President of Marketing, Farshad Tafazzoli (President), and Nelson Girard (Chairman). For a replay of the official Corporate Announcement and the entire January Corporate Call, click "Play" below! ​If you enjoyed this blog, please quickly do me a favor and share with others and comment below. In the past several years in the network marketing profession, I've seen trends come and go. In fact, the flashier the trend, the harder the fall. I've personally witnessed countless individuals flock to what appears to be "greener grass" only to find that it wasn't green at all. Or attempt to climb a different ladder, only to find that it was leaning against the wrong building. My warning to you is to carefully heed the advice in this blog. Over a year ago, I provided timeless advice on how to choose a good network marketing home. (You can see this blog here: https://successwithsuber.weebly.com/blog/10-questions-to-ask-before-choosing-a-network-marketing-company) The undertone of this piece was to stay away from hype. It came from research and study from legends in this profession. Yet history continues to repeat itself and the cool kid on the block today is cryptocurrency. The concept itself is quite innovative; cryptocurrency is a digital currency or asset, created and stored electronically in something known as "blockchains." Wikipedia describes it as "a medium of exchange using cryptography to secure the transactions, to control the creation of additional units, and to verify the transfer of assets. Cryptocurrencies are classified as a subset of digital currencies and are also classified as a subset of alternative currencies and virtual currencies." Bitcoin was the first decentralized cryptocurrency and a worldwide payment system, which is why it has garnered so much attention. The system works without a central repository, administrator or intermediary, thus playing into why it has become so volatile, profitable and attractive to many. I personally feel that it is very wise to know what cryptocurrency is and to seriously consider investing after thoroughly doing your due diligence. But while many do not dispute its potential, there are several serious drawbacks and warnings many are not heeding to. I will speak to one of these today: using network marketing as an approach to this industry. As a disclaimer, I'm a huge supporter of Network Marketing/MLM and have been in this profession for over six years. Moreover, I will, again, say that I support the innovation behind cryptocurrencies, including bitcoin and others. Yet it's sad how some people decide to turn our genius model of distribution and cutting edge products and turn it into something fraudulent. In late November 2017, Network Marketing Extraordinaire, Randy Gage published a scathing blog and warning against cryptocurrency-based MLMs. In it he says "probably the worst hustle happening in our space over the last year has been the rip-offs posing as cryptocurrency network marketing companies." In this article he details what makes this dangerous--in particular ICOs (Initial Coin Offerings), where an MLM will assign a special "token" based on a speculative purchase. However unlike an IPO (Initial Public Offering) in stock market world, the MLM distributor receives no ownership rights in the company. Moreover, there's no regulation. So in effect, a distributor is on extremely shaky ground. Randy describes "MLM cryptocompanies" being "ripe for abuse" over the next couple of years. And if history is any indicator of the future, his prediction is almost certain. Truthfully, while a mega-distributor in one of these shaky MLMs will have no problem in taking their bruised and beaten team to another "bright and shiny, flavor of the day" MLM in exchange for some upfront cash, it will further damage the reputation that so many "stick and stay" distributors have worked hard for. Not to mention leaving beginner and early tenured MLMers jaded and disgusted. I highly suggest reading Randy's article and sharing this with someone before they make a fatal mistake in joining a cryptocurrency-related MLM. Don't be suckered. And you like MLM model, be sure to ask these questions). If you enjoyed this blog, please quickly do me a favor and share with others and comment below. ​As you're probably aware, Equifax mistakenly exposed nearly 150 million US social security numbers, addresses and other sensitive info meaning there's a good chance you were compromised. In other words, just about everything that should have been hidden behind firewalls is now available to the dark net’s highest bidder. I personally found out my info was compromised! There are steps to take to help protect your information from being misused. The FTC recommends visiting https://www.equifaxsecurity2017.com. However, please be leery of the free monitoring offer. If elected, you may waive your right to any settlements won against the company. So DON'T DO IT! The FTC recommends checking your credit report and watching for any changes. However given the effort and expense of fixing errors, you should consider having a trusted Identity Theft Protection Solution. Companies like this keep a close eye on changes to your identity and notify you of any alarming changes. While there are many companies, we highly recommend ID Guard. For a low monthly rate (14.95) and a one-time 20.00 activation fee, you get one million dollars worth of identity theft insurance, 24/7 lost wallet assistance, around the clock alerts and more. This is a sure fire way to make sure that your personal information is secured. Want to learn more? Enjoy the video below on this amazing service. But whatever you do, stay protected! 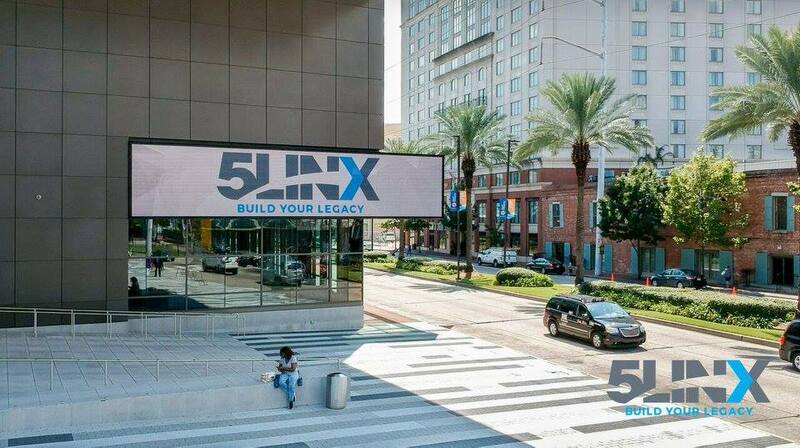 Thousands in Attendance for 5LINX International Training Event in New Orleans! 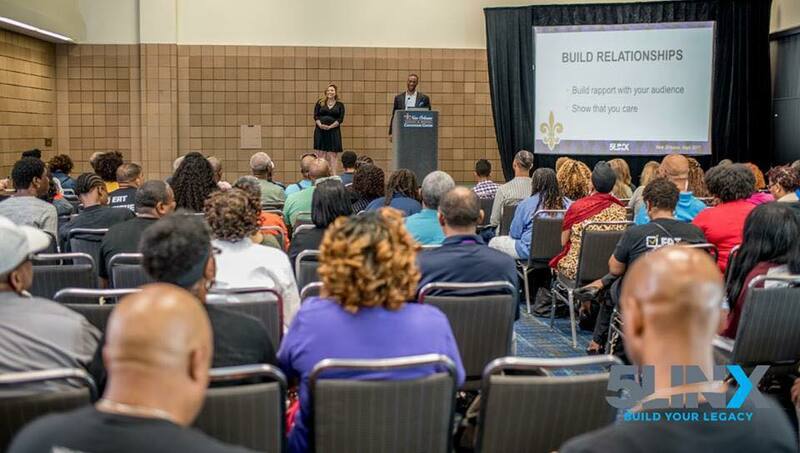 From September 13-16, 2017, thousands packed the Morial Convention Center in New Orleans, Louisiana to attend the 5LINX International Training Event, which takes place three times annually. Many of those who traveled came in spite of having limited resources as a result of Hurricanes Harvey and Irma, which devastated the surrounding areas of Houston, Texas and Central Florida. Attendees were able to enjoy company-sponsored events which began with event registration and product demos on Wednesday 9/13. Vendors of 5LINX including GE ProtectAmerica, DailyDimes, Chroma Credit Restoration, OxZGen and more were on site to meet representatives and answer questions. On Thursday 9/14, leaders including Ricardo Suber and several other Senior Vice Presidents lead specialized trainings on various aspects of business activities, including Social Media, the Linx2Funds Non-Profit Initiative, Compensation Plan, Closing Commercial Sales and more. On Friday 9/15 and Saturday 9/16, 5LINX unveiled its newest products, starting with an expansion of its Tea Line, to include Chamomile, Passionfruit and Green Tea along with Organic Black Tea. ​Next was highly anticipated release of Chroma Credit Restoration, which is a comprehensive and competitively-priced solution that aggressively helps individuals restore their credit. Features include one-on-one action plans with professionals, unlimited disputes, debt validation letters to creditors, cease and desist letters, tools and tips to help you understand your score, and so much more at the low price point of just $89/month. However the crowd erupted in applause when it was announced that this service is 100% FREE if anyone refers 5 others who get the service, regardless of their affiliation with 5LINX. While the audience was still on a high, 5LINX Chairman, Nelson Gerard announced the pre-launch of its newest line of Sports Wellness Products, called "OXZGEN", which is a joint venture of 5LINX and NBA All-Star and Assistant Coach, Juwan Howard. This product line was quoted in being "the most important in health, sports and wellness in decades." One of the key, natural ingredients is a hemp-derived CBD which has been cited as having positive effects on everything from pain and inflammation to Parkinsons and even Alzheimers by the National Institute of Health (NIH) and the British Journal of Clinical Pharmacology. Only representatives in attendance were able to order deeply discounted sample kits containing various forms of OXZGEN, including a balm, a spray and several others. The expected launch is expected in just weeks and the line will continue to roll out through 2018. ​In between product annoucements, 5LINX recognized various achievements including those to reached the 25, 50 and 100 Customer Clubs, Top IMR and Customer Producers, and more! 5LINX also welcomed its newest Senior Vice President, LaShauna Parker from North Carolina. From the stage, she encouraged new reps, leadership and the corporate staff to stay the course and echoed that the company is on course to reaching $1 Billion in Revenue. 5LINX went on to collect donations that went directly to hurricane victims in both Texas and Florida as a result of Hurricanes Irma and Harvey. Lastly representatives were WOWed when Chief Operating Officer, Mike Gilbert shared that all representatives on the Platinum Discount Network now have access to the 5LINX Legacy App, which gives the ability to track potential customers and partners through powerful lead pages and a highly sophisticated follow up system. Lastly, Mike revealed that reps could upgrade for an additional $39.95/month to Platinum Discount Network Plus (aka PDN PLUS) which pays a 75% commission value, allows for free shipping on select products, and gives reps the ability to share the app and even get paid when referrals of customers engage the app! PDN Plus is now available only within the 5LINX Legacy App, which is available in the App Store (for iPhone users) and The Google Play Store (for Android users). The event was concluded after a mainstage panel session, titled "Legends of Direct Sales" hosted by COO Mike Gilbert. Topics included "things that would be done differently if they could be done over again", "the habits and behaviors of the perfect network marketer," "what would you do if you could only work 2 hours/week on your business", "how to keep yourself from getting distracted, in a world full of distractions," and more. Representatives left the event feeling full, encouraged, rejuvenated and excited. The next three training events will take place in 2018, staring with Savannah, Georgia (February 7-10), Atlantic City, New Jersey (May 2-5) and Jacksonville, Florida (September 19-22). Many of the participants at The New Orleans event have already secured their tickets for all three events. Click the video below for a snapshot at what took place in New Orleans. NBA Champion, All-star and Coach joins the 5linx Family! NBA Player and Coach, Juwan Howard joins the 5LINX Family! A recent video and corporate council call confirmed that NBA All-star and Coach, Juwan Howard has been named the official ambassador for 5LINX's Newest Product, "OXZGEN" which is an all natural, organic pain reliever. Various trials have concluded that this product has absolutely zero side effects and is generating an international buzz. On the recent 5LINX Corporate Call, 5LINX Chairman, Nelson Gerard and Juwan Howard announced that 5LINX has been granted exclusive rights to market and sell this service! The official unveiling will take place at the next 5LINX National Convention, at the Morial Convention Center, September 13th - 16th, 2017! FORBES: "Cable business will soon be a thing of the past"
The future is here. According to a Forbes article, "the cable business, as we have come to know it, will soon be a thing of the past." This is due to the advancement of services like Netflix, Hulu and many others. As this article acknowledges, one of few the things keeping cable afloat is live programming and the addition of service bundles like security. (To see this Forbes article, click here). However, the future is upon us. A little known service called "TeeVee" is preparing to break into the market place which combines many of your favorite apps like Netflix, Hulu and Amazon Prime along with 200+ LIVE channels (including popular movie channels). It accomplishes this for about half the price of traditional cable, without credit checks, contracts, nor extra fees. The service is available now and includes a risk-free 7 day free trial! AVAILABLE NOW at www.CutMyCord.info ! FoR QUESTIONS FILL IN FORM BELOW! Walmart slashes 269 Stores; Thousands Affected! What would YOU do? Realty reared its ugly head again today as retail giant, Walmart, announced that it will close 269 locations, including 154 locations across the United States. The Chicago Tribune states, "The announcement comes three months after Wal-Mart Stores Inc. CEO Doug McMillon told investors that the world's largest retailer would review its fleet of stores with the goal of becoming more nimble in the face of increased competition from all fronts, including from online rival Amazon.com." (See the full article here). Whatever you do, this is just another wake up call that its time to do something. Why not find a way to fit a part time business into your schedule so that if the unthinkable happens, you have a backup plan. And what would life be like if one day your part time income out earned your full time income? 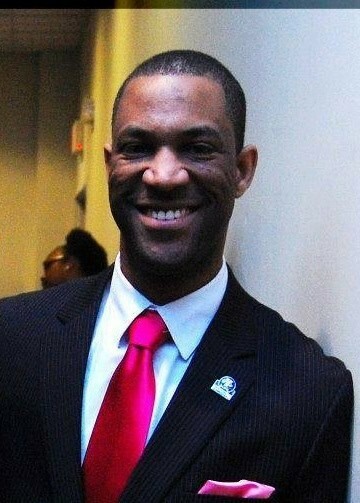 5LINX celebrates william faucette jr. as its new ceo! One of the proudest moments I have had as a representative in 5LINX occurred a few days ago when I personally congratulated William Faucette Jr. as 5LINX's newest CEO. This gentleman brings plenty of experience to the table; not only as a representative who rose through the ranks to Senior Vice President, but also serving in the capacity of Vice President of North American Sales. Along with Co-founders Jason Guck and Jeb Tyler, Mr. Faucette has carried the torch to help our company become one of the Top 100 Direct-Selling Companies in the world and one of the Top 50 in the United States, according to Success from Home Magazine and Direct Selling News. Along with Jason and Jeb, William vows to steer the ship and keep 5LINX at the forefront of innovation with one of the most diverse product and service lines in the entire Network Marketing Profession. If you want more info on what we do, visit GetOffTheRATWheel.com and get back with me or whoever referred you to this article. In any case, its time to do something. I don't know about you, but if you're not happy about the prospects of retiring prior to being a great-great-great ancestor, its time to do something different. Speaker, Networker and Social Media Expert.